Test soil pH, water pH, food pH and more quickly, easily and accurately with a digital pH Meter / pH Tester from PCE Instruments. Whether you’re looking for a compact, pocket, portable, handheld or tabletop pH Meter / pH Tester, you will find the best pH Meter / pH Tester for your application here. PCE Instruments also offers optional accessories such as pH Meter / pH Tester certified calibration certificates, oxygen probes and electrode storage solutions. Typically, the pH scale ranges from 0 to 14. However, it is possible to record a negative pH. A negative pH occurs when an acid yields a hydrogen ion concentration with a molarity greater than 1. All pH Meter / pH Tester products offered by PCE Instruments cover the full range of pH values, both positive and negative, to help you determine the exact acidity or alkalinity of your soil, water, food or solution. Each pH Meter / pH Tester also features manual or automatic temperature compensation. Since pH values are affected by temperature (according to the Nernst equation), temperature compensation is a vital function of any pH Meter / pH Tester to ensure accurate pH measurement. When you opt for a high-quality pH Meter / pH Tester manufactured directly by PCE Instruments, you will appreciate the product’s cost effectiveness and ease of recalibration, as every pH meter needs to be recalibrated periodically. This is due to the concept of drift. Much like a chemical battery, as a pH electrode ages, its signal changes. These changes can cause a variance, or drift, in the reading of pH values measured by the pH meter. Most of the time, recalibration can correct this drift. Sometimes, recalibration of the pH meter is not enough. 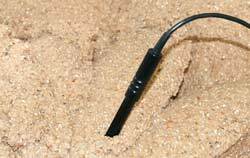 Unfortunately, the lifespan of a pH probe, or pH electrode, is limited. High temperatures, extreme pH levels, dehydrated bulbs, rough handling and improper storage of a pH meter can all affect the longevity of a pH electrode. The good news is, each PCE-branded pH Meter / pH Tester features affordable replacement pH electrodes, so you can feel confident you’re making a smart purchase when you buy your pH Meter / pH Tester from PCE Instruments. 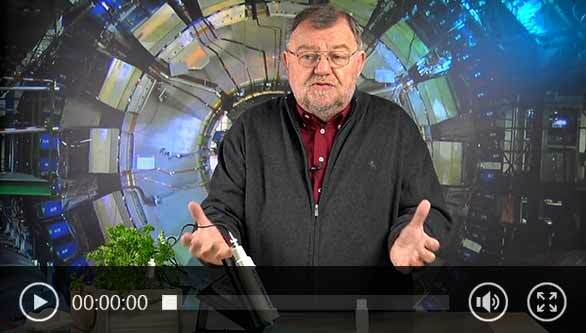 Video: Wolfgang Rudolph shows us all about a pH Meter. A pH Meter / pH Tester is used in laboratories, industrial plants, aquariums, swimming pools and more to measure the pH value. For example, in industrial sewage treatment plants, different types of wastewater (coming from household sewage and biological and chemical processes) cause various and rapid changing pH measurement data. Continuously working pH controllers primarily are used to regulate the wastewater treatment process. However, for taking quick measurements and to adjust and check these fixed-installation pH controllers and pH indicators, a handheld pH Meter / pH Tester is especially handy. In private outdoor swimming pools, it is necessary to always control the pH value by means of a pH Meter / pH Tester. The pH value of water shows how acidic or alkaline the water is. Ideally, the pH value in a pool measured by a pH meter should be between 7 and 7.4. Any value deviating from this ideal value affects the quality of the water. The values measured using a pH Meter / pH Tester also influence the effectiveness of disinfectants in water. Furthermore, if the pH meter shows a strongly deviating pH value, this can damage material and harm the human body. When the value on the pH meter is too low, joints can be damaged and metals can corrode. If the value is too high, the human skin can start itching as the skin’s protective acid mantle is damaged or destroyed. If you have any questions on a pH meter, please contact us at or +44 (0) 2380 987 035 for PCE Instruments UK or +1 (561) 320-9162 for PCE Americas Inc. The water resistant Swimming Pool pH Meter PCE-PH 22 quickly detects the pH value and temperature. Thanks to its split display, this Swimming Pool pH Meter can show the pH value and temperature reading simultaneously. The waterproof pH tester is used for fast and accurate measurement of pH and temperature. Due to the practical double display, both values can be read simultaneously on the pH tester. The waterproof and robust housing (IP 67) means the pH tester can be used under difficult conditions. The pH meter PCE-PH 23 is used for rapid fluid analysis. The pH meter offers the possibility of determining the temperature and the pH value. The operation of the pH meter PCE-PH 23 is carried out via the four front-mounted buttons. The pH meter PCE-PH 25 offers the user comprehensive measuring applications. In addition to determining the pH value, the PCE-PH 25 pH meter also shows the conductivity, the filtrate dry residue, the salinity and the temperature of the sample. The pH meter PCE-PH 25 is a measuring instrument for mobile use. The pH meter PCE-PH 26F is used to measure the pH of viscous media. Thanks to the flat pH electrode, the pH meter is particularly well suited for the measurement of the pH value of sludges or viscous media such as oils and creams. The measuring range of the pH meter ranges from -1 ... 15 pH, and it has an internal calibration function with up to 3 interpolation points. The pH meter PCE-PH 28L is equipped with a flat electrode membrane which is installed in a shaft. So with the pH meter you can measure samples of viscous media in test tubes. This feature makes it possible to use very small volumes of liquids in beakers or test tubes. As a result, the pH meter can be used not only in the field but also in the laboratory. The pH meter PCE-PH20 is a user-friendly hand-held pH device that allows fast and reliable pH measurement. This pH meter is very suitable for use in the area of aquaristics or aquarium care. 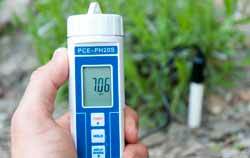 The pH meter PCE-PH20 has a three-point calibration, which is carried out automatically. The pH meter was developed to directly determine the pH in aqueous media or water based solutions. Depending on the purpose of creating an aquarium, whether commercial, scientific (experimental and laboratory tests) or decorative, the most desirable pH level should be maintained to provide correct living conditions for the fish and other organisms. The pH Meter PCE-PH20M is a simple portable pH meter for food, e.g. meat. The practical display makes the pH value on the pH meter easy to read. A recalibration always guarantees optimum accuracy and is very easy to perform using the optionally available calibration kits. - Probe designed for Food, Meat etc. The pH Meter PCE-PH20M is a useful handheld pH meter for food. The pH can be read off the large LCD display. pH measurement in foodstuffs production and processing is a ubiquitous method of measurement. It is needed in many downstream process steps and has a direct influence on the tactile, sensory and hygienic quality of foodstuffs. The use of a pH meter with a special glass electrode is one of the well-known methods of pH measurement in cosmetics. The pH meter PCE-PH20P ensures that you get reliable results when taking measurements in shampoos, liquid cleansing toners and foams, gels and many other substances (containing water). This pH meter PCE-PH20P-ICA for cosmetics is portable, very easy to use, light in weight and easy to handle. The glass electrode ensures it is easy to keep clean. The pH value in cosmetics is strictly and continuously monitored, not only in the final product but in all stages of production. The PCE-PH20S pH meter for soil has been developed with the purpose of finding an effective method for directly determining the pH value of soil. With the help of this pH meter, it is possible to quickly and accurately measure the pH value of soil, including a soil sample taken from the ground. The soil pH meter is a straightforward device for determining the pH value of soil. The instrument has an external pH electrode with cable and it is waterproof (IP 67). The soil pH meter can be recalibrated by using the calibration solutions that are supplied with the device. The PCE-PHD 1 Multifunction pH Meter is a portable and effective measuring device with multiple capabilities for inspecting water quality. Offering extraordinary precision at an affordable price, the Multifunction pH Meter is used for laboratory and in situ testing of the pH value, redox, conductivity, salt content, oxygen level and temperature of water. - Sampling rate of 1 sec. The multifunction pH meter PCE-PHD-1-KIT1 is a true all-rounder for checking water quality. The portable multifunction pH meter is used to control the water parameters pH, redox, conductivity, salinity, oxygen and is also very suitable for temperature measurement. Storage, electrolyte, conductance and calibration solutions are included in this comprehensive kit. This includes the pH meter PCE-PHD 1 and the magnetic stirrer PCE-MSR 300. The portable pH meter is a versatile instrument for checking water quality parameters, i.e. pH, ORP, conductivity, salinity, oxygen, and temperature. The magnetic stirrer PCE-MSR 300 has a large display and adjustment of temperature, stirring speed and stirring time, with a maximum stirring volume of 2 liters. The pH Meter PCE-PHM 14 has been developed for permanent and easy pH monitoring. This pH meter can be easily mounted on a wall. Various pH electrodes can be connected via the BNC connector on the bottom of the PCE-PHM 14 pH meter. The pH Meter PCE-PHM 14 is designed for permanent monitoring of the pH value. The pH Meter PCE-PHM 14 has a backlit LC display that is easy to read remotely. The pH Meter is equipped with an automatic calibration function at pH 4, 7 and 10. This means that the meter automatically detects the buffer solution and calibrates itself. The PCE-228 pH meter is an easy-to-use handheld device for measuring pH, mV and °C. With the PCE-228 pH meter, both temperature and pH values can be stored onto a SD card (in Excel format), or transferred to a PC through an RS-232 interface. The pH meter has a three-point calibration, which is performed automatically. In the plant world, the pH of the soil has an impact on the intake of nutrients by the roots and therefore on the overall plant growth. The human blood usually has a pH between 7.35 and 7.45. Should the pH of the blood drop, the hemoglobin will absorb less oxygen. In the area of the underwater world some fish species need a rather acidic and the others – a rather alkaline environment. In the field of chemistry, the pH value is an indicator of the strength of an acid or base. Various methods or a measuring device / ph meter is used to determine the pH value. PH-photometers also use the effect of the color change. One water sample should be taken for the measurement, and then measured by the pH meter in two steps. During the measurement step 1, a blank test is carried out (only the sample taken). Before the second measurement step, a reagent is added to the sample which causes a color change of the sample. Here the color change is measured with an optical measuring system and converted directly into the pH value. The maintenance expenses for a pH meter based on photometric procedure are relatively low, but the reagents are required for each measurement. A fast and simple measurement is carried out with a pH meter, which has got an electrode. These measuring devices are available as a table or hand-held measuring device, as well as a stationary measuring unit. Measurement with one electrode is the most commonly used measuring method for the pH value determination. For applications in laboratories, tabletop devices with glass electrodes are generally used. These very thin-walled glass electrodes require very careful handling. For this reason, in laboratory operation, glass electrodes are used with an electrode holder, which holds the electrodes and is balanced by the springs. A tabletop pH meter has, in most cases, an internal memory or an interface via which the recorded or currently measured data can be transferred to the PC. As for power supply, in addition to the pH meter devices with normal mains operation, there are some pH meters models available that also provide operation via a battery or a battery pack. This kind of pH meter is very flexible and can also be used for on-site measurements. Stationary pH measuring systems are used where the pH value must be measured or adjusted constantly. This pH meter is mostly used as transmitters and send the measured values as analogue signals further. The analog signals, e.g. 4 ... 20 mA or 0 ... 10 V, are processed in electronic controls and possibly passed on to displays, dosing devices or pumps and valves. The largest proportion of the pH measuring devices on the market are the mobile handheld instruments. A mobile pH meter is offered in many different versions and with different equipment. The pH measuring devices, which form a solid unit with the electrode, are generally referred to as pH testers. These pH testers are the most cost-effective devices and are used in applications where a few measurements are required. Since all the pH electrodes are subject to drift and therefore also to wear, it should be considered when purchasing a pH meter that the electrode can be replaced. Mobile pH measuring instruments with a replaceable/ removeable electrode can be used in almost all areas, due to the possibility to rapidly change the electrode to a special one. A mobile pH meter often has measured value memories, which can record the current value or if the logger function is available, the whole measurement series. The measured value memories are designed as an internal memory or as a SD card recorder. From these pH-meters, the values can always be transferred to a PC and processed there. For the application in humid environments, the pH tester and handheld device should be equipped with an appropriate IP protection. The selection of the pH electrode should always be based on the application. Thus, in the most common cases, for the mobile pH meter, the electrodes with a plastic housing and a gel filling is selected. These electrodes are mechanically relatively stable and are not directly destroyed when the container walls and edges are hit. For the area of foodstuffs, the electrodes with a conical tip or electrodes embedded in a stainless-steel blade are available. To avoid shortening the lifetime of the electrodes, they should always be cleaned after use. Depending on the application, special cleaning solutions are required. In case of applications in clean waters or comparable media, cleaning with tap water and rinsing with distilled water is sufficient. The storage of the pH electrodes should always be carried out in a storage solution for pH electrodes. In order to compensate for the above-mentioned drift of the pH electrodes, a calibration of the pH meter with the electrode is required from time to time. For this purpose, for example, calibration solutions with pH values 4, 7 or 10 can be used. If pH measurements are carried out in media at the temperatures above 25 ° C, pH meters with automatic temperature compensation (ATC) are recommended. For the pH measuring instruments with ATC, the measured value shift caused by the temperature is voided / removed. The soil pH is a distinctive mark of its acid or base content. The pH of a soil, as in all the other aqueous systems, is affected by natural buffer systems. The determination takes place either in a suspension (extraction procedure) of soil in a neutral salt solution (0.01 N calcium chloride or potassium chloride) - lab measurement method. Here, since the absorbed H + ions on the ground exchanger are replaced by the CaCl2-ions, the pH measured in such a way is about 0.3-1.0 units below the pH, which is measured in purely aqueous suspensions. However, not all the data in the literature are corrected accordingly. Make the soil mix sample (air-dry clay) taken from various representative sampling points. Remove foreign bodies (inter alia stones, roots). Slightly loosen the soil with hands. 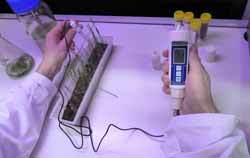 This method detects the normal acidity of the soil. The existing bound acid ions present in the soil matrix are not detected. Put 260 ml of distilled water to 100 g of a soil mix sample and stir / shake this suspension for 5 minutes. After this, the sample is left still for minimum 2 hours, but not longer than 24 hours. Take 75 ml of soil and mix it with 300 ml of 0.01 M CaCl2 solution (0.01 M = 1.11 g of anhydrous calcium chloride or 1.47 g CaCl2 * 2 H2O for 1 liter distilled water), stir very intensely and let it stand without stirring for at least 60 minutes. Stir the sample shortly before you use the pH meter the measurement and immerse the pH electrode and temperature into the fluid to be measured. The suspension with 0.01 M CaCl2 solution the easily replaceable hydrogen ions are also incidentally detected, as these are exchanged from the bound sample matrix by the cations. This determination method is very close to the longer-term process in the soil. That is why, the pH of this suspension is 0.5 to 1.0 pH units lower than the pH of the aqueous soil suspensions. Take a record of the measurement value with 0.01 pH accuracy when the measured value is stable. Please note that during the use of a pH meter any pH measurement the temperature constancy between the liquid under measurement and the electrode can take place. Finally, after the measurement clean the pH electrode of contaminants by rinsing with distilled water. pH sensor should not be affected mechanically. Then keep the electrode in (STORAGE-Solution). - The results will be most accurate if you keep the sensor of the main electrode immersed in the liquid to be tested for 24 hours prior to the pH measurement. - It is very important to use the following three electrodes: the main (glass) electrode of your pH meter, a reference electrode and an electrode for temperature compensation. - Allow 5 minutes for stabilisation of the value before you read it out from the display of your pH tester. - Change the unit of measurement of your pH meter if the pH value is below pH 0 or above pH 14 and repeat the measurement. - When you have taken your measurement, immerse the sensor of the pH meter into hydro-chloric acid (0.1 mol/L HCl) for approx. 10 minutes before washing the sensor as well as the external cylinder of the reference electrode carefully with pure water. One of the most important facts to know about pH meters is that pH values of non-aquaeous solutions, in contrast to those of aquaeous solutions, are more or less only an indication of the hydrogen ion activity in the sample. The potassium chloride (KCl) that leaks from the liquid junction of the pH tester’s reference electrode containing the KCl solution does not normally dissolve in most non-aqueous solutions, which means that the liquid junction will be blocked. Therefore, lithium acetate (CH3COOLi) is used in some electrodes of a pH tester as this will dissolve in organic solutions. There is a wide range of the pH meter models in the market, starting from portable small inexpensive testers to complicated and pricy laboratory versions. The most well-known design of the pH meter is a device with the glass electrode. Not depending on the model, it is important to note that this kind of pH meter requires very careful handling and regular calibration. Glass is very fragile and once the electrode is broken or cracked there is no chance for getting accurate pH value measurement. The electrodes should be cleaned regularly, kept in a special solution under favorable ambient conditions (no high temperatures and humidity! ), free from contaminants and fat (that is why it is recommended never to touch the device with the hands). One of the options to the glass electrode, which as mentioned above, really needs an operator to be very concentrated, another type of electrode – based on ISFET technology – has been created. The main advantage of a pH meter equipped with an ISFET (on-sensitive field-effect transistor) electrode is that it is robust enough and has a short response time, at least not more that the glass electrode and can carry out measurements under low temperatures without being damaged. The ISFET pH meter finds its application especially in industrial field, where the operating conditions are quite rough sometimes and a certain resistance of the meters is absolutely advantageous. As against to the majority of pH meters, there is no glass element in the construction. Such a pH meter is widely applied in food / beverages and pharmaceutical industry, various branches where high hygienic requirement should be met. It ensures the safety of the products under testing, not only due to its resistance to contamination and compliance with all the hygienic norms, but also the risk of shards of glass getting into the material in case of the breakage of the glass electrode is brought to “0”. A pH meter with an ISFET electrode is resistant to shocks, provides very good, stable and accurate measurement, even under low temperatures, the pH meter is less sensitive to storage conditions and its electrode being out of solution does not influence the operation. The ISFET electrode can be sterilized, calibration intervals are longer, as well as the service life time.